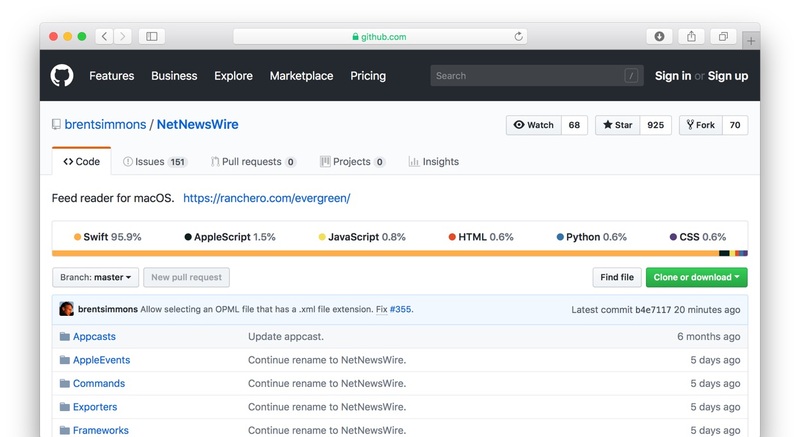 Ranchero Software、Mac用RSSリーダー「NetNewsWire v5.0 Beta 1」をリリース。今後はオープンソースアプリとして開発。 | AAPL Ch. 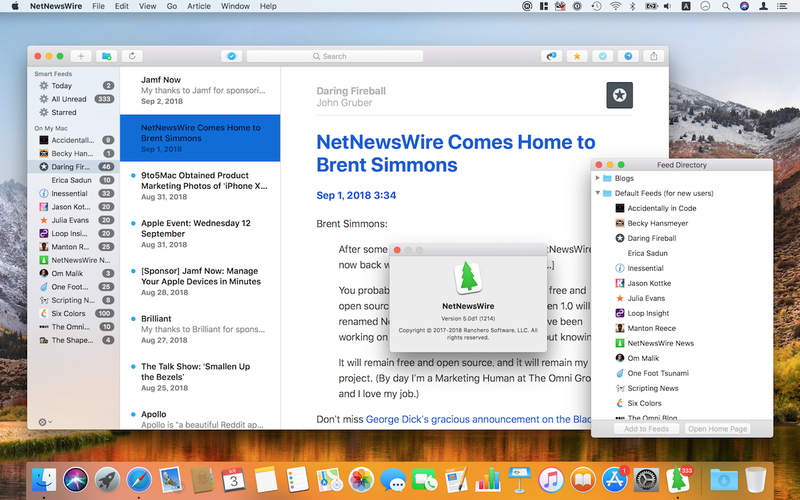 NetNewsWire 5.0 is a free and open source feed reader for macOS. It’s at a very early stage — we use it, but we don’t expect other people to use it yet. It’s not actually shipping. Most of the code is written in Swift. Some older parts, particularly in the frameworks, are written in Objective-C. We think this is one of the largest open source Mac apps written mostly in Swift.